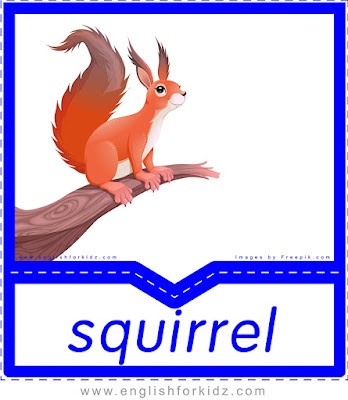 Word search puzzles help English teachers get the vocabulary into students’ memories. 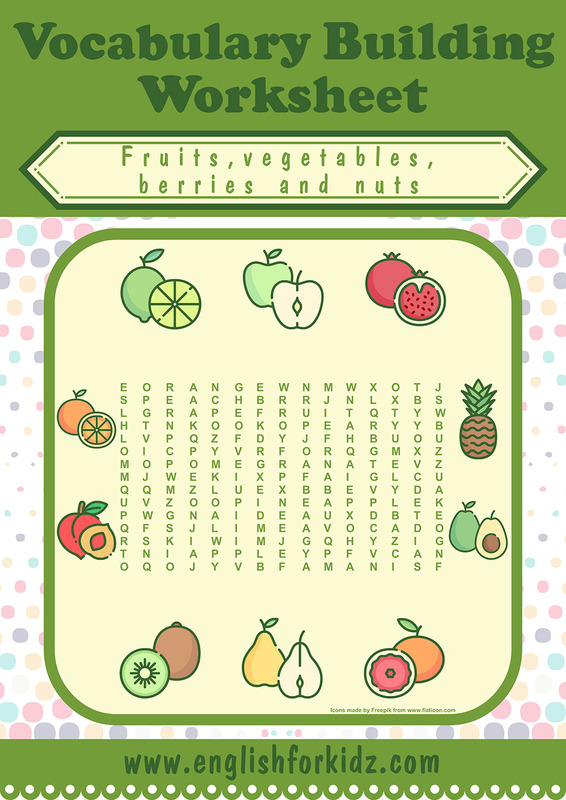 I have created a few printable worksheets featuring word search puzzles designed to learn some 50 names of fruits, vegetables, berries and nuts. You can find the full list of words students can learn on the topic with the help of my worksheets here. When students are trying to match pictures of fruits and vegetables with the hidden words in word search puzzles, they train their spelling, learn to recognize words and develop concentration skills. I do my best to design colorful word search puzzle for every major topic we learn in the classroom. My students love such challenging activities. And I love them too as, being challenging, such puzzles are conducive to memory retention. The fruits & vegetables word search puzzle for words lime, apple, pomegranate, pineapple, avocado, grapefruit, pear, kiwi, peach,orange. 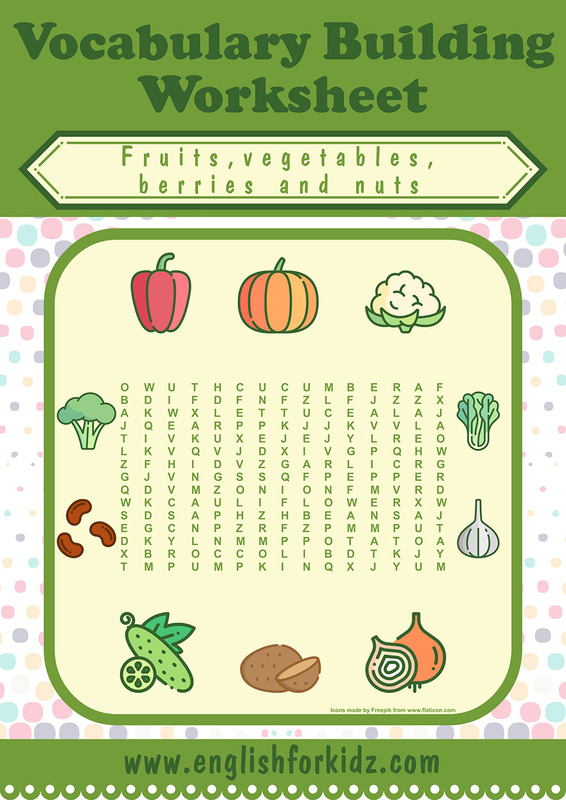 This blog post offers 3 free worksheets while the premium PDF kit has 6 word search puzzles including one featuring British English variations of some vegetable names. 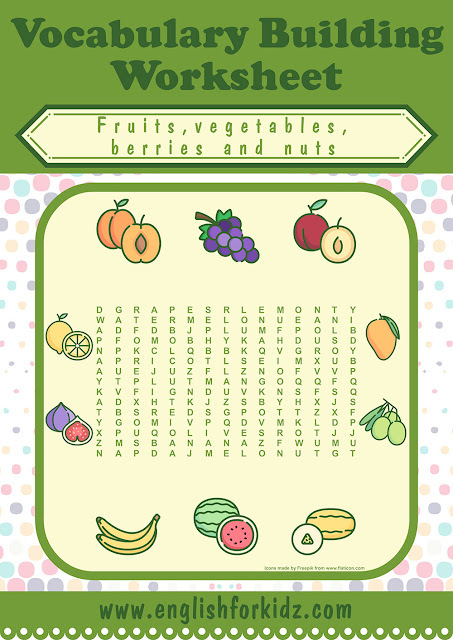 The fruits and vegetables kit also includes 3 other types of worksheets, flashcards, bingo and dominoes game. 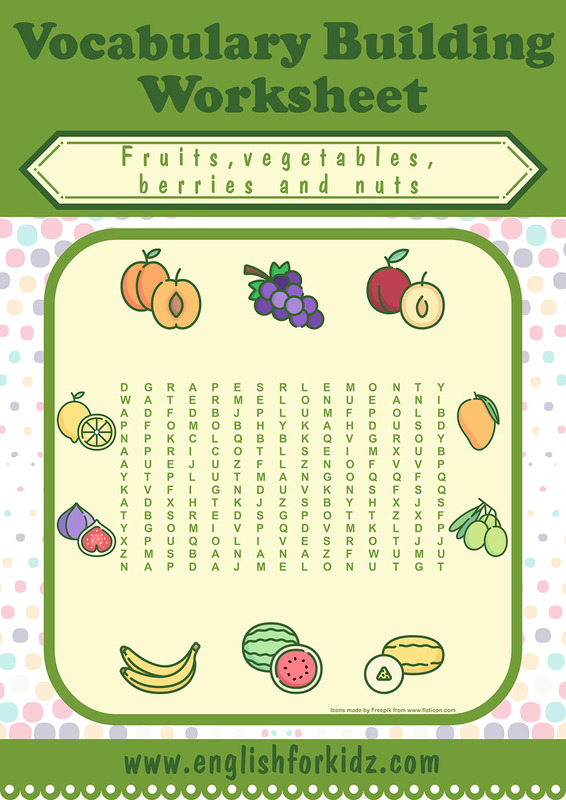 The fruits & vegetables word search puzzle for words peach, grapes, plum, mango, olives, melon, watermelon, banana, fig, lemon. The fruits & vegetables word search puzzle for words pepper, pumpkin, cauliflower, lettuce, garlic, onion, potato, cucumber, beans, broccoli.